All classes are booked and are paid for in advance. Prices include VAT at the current rate. Your place on a course is not confirmed until a payment has been received. Refunds or credits are not normally given, but are at our discretion, in exceptional circumstances only. All clients must complete the Registration Form and PAR-Q screening form (Physical Activity Readiness Questionnaire) before joining a course. This information will not be disclosed to any third party. It is the client’s responsibility to advise the instructor if there has been any change to their health, particularly if the change would mean that they can answer “yes” to any of the questions on the PAR-Q screening form. It is also the client’s responsibility to advise of change of personal information on the registration form. The minimum age of class attendees is 18 years. However, it is possible for younger clients to attend, but those under the age of 16 should be accompanied by an adult, those over the age of 16, but under 18 years of age will require written permission from a parent or guardian to attend a class unaccompanied. 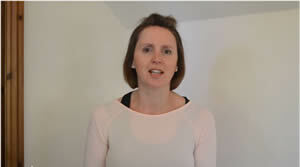 Disclaimer: Whilst every care is taken to provide safe and effective exercise, participation in Body-Torque’s group and 1:1 sessions is at your own risk, and you should make your teacher aware of any exercise or movement which causes you undue discomfort or you feel may lead to injury or aggravation of a pre-existing condition. Body-Torque and its employees and subcontractors, cannot be held responsible for injury, illness or accident however sustained by its clients or those partaking in its group or 1:1 activities, either during a class or whilst on Body-Torque’s own premises or on any third party premises or any venue hired by Body-Torque. Clients are asked to divulge all relevant health conditions by completing a PARQ health questionnaire in advance of participation in group or 1:1 activities with us, and to keep us advised of any change in their individual health circumstances. We are a small company that care about the service we offer to our clients, we understand that sometimes plans change and you may need to cancel a booked session. However, in order that we can maintain the quality of service and tuition we provide it is essential that we have a clear and fair cancellation policy which is strictly adhered to. Should you need to cancel a booked class, you will be entitled to do another class in lieu of the cancelled session if you give us a minimum of 24 hours’ notice. However, please give as much notice as possible, so your place can more easily be made available to another client. If we do not receive a minimum of 24 hours’ notice of cancellation, it will not be possible for a client to make up their missed class. This policy will be strictly adhered to. Clients who cancel a class with more than 24 hours’ notice will be entitled to do another class in lieu of the cancelled session; (subject to availability of space) These make up classes must be booked within four weeks of the cancelled class. Missed sessions or classes that have not been cancelled with a minimum of 24 hours’ notice will be charged as if attended and have no make-up class entitlement. No refunds or credit will be issued for cancellations regardless of how much notice is given. Please note, cancelled classes cannot be simply carried over to the following week at the same class day/time, cancelled sessions need to be made up at a different session to your regular class(es). N.B. By signing your booking form you are agreeing to be bound by these Terms and Conditions without equivocation. These Terms & Conditions are subject to change without notice. No guarantee is given of the accuracy or completeness of information on these pages. Any information published on this web site is provided in good faith and is intended for the use of its visitors. Although every reasonable care has been taken to ensure technical and factual accuracy, some errors may occur. Please be aware that BODY-TORQUE PILATES LTD reserve the right to alter the information on its web site from time to time as they see fit. BODY-TORQUE PILATES LTD shall have, and will accept no liability arising from the use by any party of the information on this web site. BODY-TORQUE PILATES LTD does not warrant the information on this web site in any way. In particular no warranty is given that the web site or its contents or hypertext links are virus free or uncontaminated; you are advised to make your own virus checks and to implement such precautions in this respect as you deem necessary. BODY-TORQUE PILATES LTD exclude all liability for contamination or damage caused by any virus or electronic transmission.